Even as it awaits the outcome of the Lok Sabha elections in India, China has shown its eagerness to remain in regular touch with New Delhi. The two countries today concluded a three-day meeting of the working mechanism for consultation and coordination on border affairs in Beijing with a firm resolve to maintain peace and tranquillity along their border pending a final settlement of the boundary dispute. The Indian side at the meeting was led by Gautam Bambawale, Joint Secretary (East Asia) in the External Affairs Ministry and included officials from the Defence and Home ministries as also members of the Indian Army and the Indo-Tibetan Border Police (ITBP). The Chinese delegation was headed by Ouyang Yujing, Director General at the department of Boundary in the Chinese Foreign Ministry and included officials of the National Defence. The sixth meeting of the working mechanism came just two weeks after Foreign Secretary Sujatha Singh visited Beijing for the India-China strategic dialogue. A statement issued by the MEA said the talks were held in a cordial, constructive and forward looking manner at a time when the season was changing in the high attitude areas along the India-China border. Both sides agreed that maintenance of peace and tranquility on the border was an important guarantor for the further development of bilateral relations. 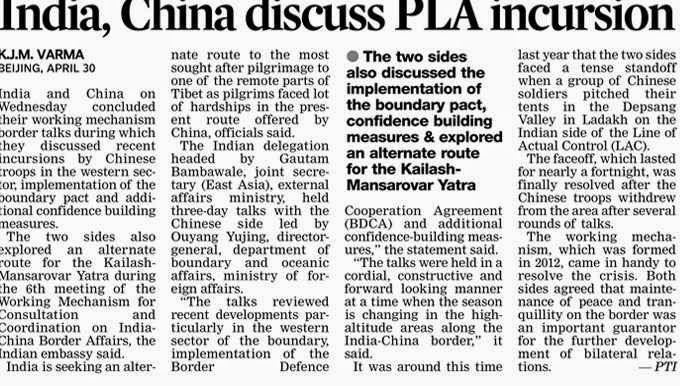 The two sides reviewed recent developments, particularly in the Western Sector of the boundary, implementation of the Border Defence Cooperation Agreement (BDCA) that was signed during Prime Minister Manmohan Singh’s visit to Beijing in October last year and additional confidence building measures. An alternate route for the Kailash-Mansarovar yatra was also explored. The series of meetings between top officials of the two countries are taking place against the backdrop of reports that Chinese President Xi Jinping is keen to visit India in the second half of the year to establish personal contact with the new government in New Delhi. While receiving credentials of the new Indian Ambassador Ashok Kantha last month, Li had stated that furthering strategic partnership with India was his historic mission. They also explored an alternative route for the Kailash-Mansarovar yatra; pilgrims have been facing a lot of hardships in the present route offered by China. A first-day cover being released during 9 Guards golden jubilee celebrations. 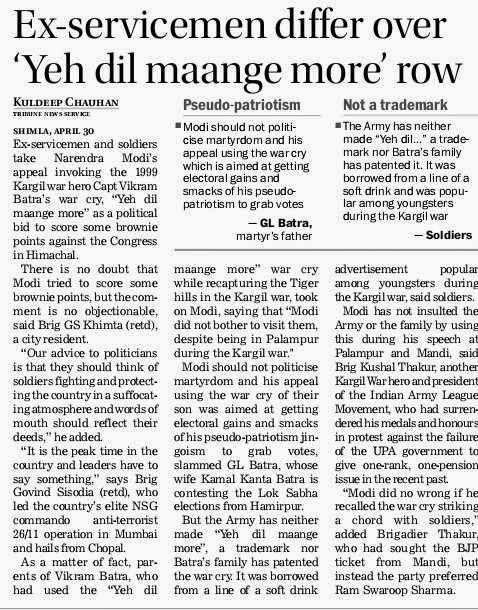 Even as retired armed forces personnel are on the lookout for any signs of the implementation of the much-awaited "one rank-one pension" scheme, announced in February, the wheels are quietly turning in South Block. Defence Minister AK Antony reportedly called a meeting in this regard last week and ordered the authorities concerned that the issue be finalised in three weeks. Directions have been issued to set up a committee comprising representatives of the Ministry of Defence (MoD), three Services and the Controller General of Defence Accounts. The committee has been tasked to hold regular meeting for firming up modalities of the scheme that would ensure same pension for same rank and same length of service. At present, there are disparities in pension of similarly placed personnel retiring at different times. On the other hand, sources in the armed forces claim they are yet to receive any communication on the convening of the said committee meeting. It remains to be seen whether Antony's deadline will be adhered to or not. When the ANZAC (Australian and New Zealand Corps) Day is celebrated Down Under on the other side of the Equator, as also in some other parts of the world on April 25 to commemorate the contribution of Australian and New Zealand soldiers, particularly in the Gallipoli Campaign of the First World War, it will also shed light on little known but vital role played by Indian troops in the operation. The Gallipoli Campaign was launched by the British against the Ottoman Empire to capture the Gallipoli Peninsula to open the way to the Black Sea for the Allied navies and to seize Constantinople. The Indian component of the British force comprised the 7th Indian Mountain Artillery Brigade, the Indian Mule Corps, a medical establishment, and the 29th Indian Infantry Brigade. The high point of the contingent's deployment was its conduct during the battle for Sari Bair when one of its battalions gained the crest of the mighty ridge. Total Indian casualties in the campaign were 4,130. 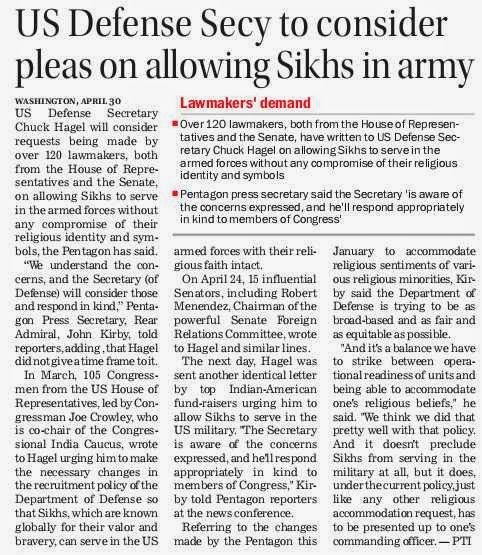 Unfortunately, there are almost no records of the contingent's role, except for the fortuitous collection of letters passed down by the Indian censors in France or the accounts of a few British officers. The 9th Battalion of the Brigade of The Guards, also known as the Heroes of Sylhet, turned 50 this month. Presently based in the deserts of Jaisalmer, the battalion was raised at Kota in 1964. The battalion was deployed on the Eastern Frontier during the 1971 Indo-Pak war, where it captured the dominating enemy bastion of Sylhet that lay close to the border with Meghalaya and southern Assam. For its success, it was awarded the Battle Honour Sylhet and Theatre Honour East Pakistan. 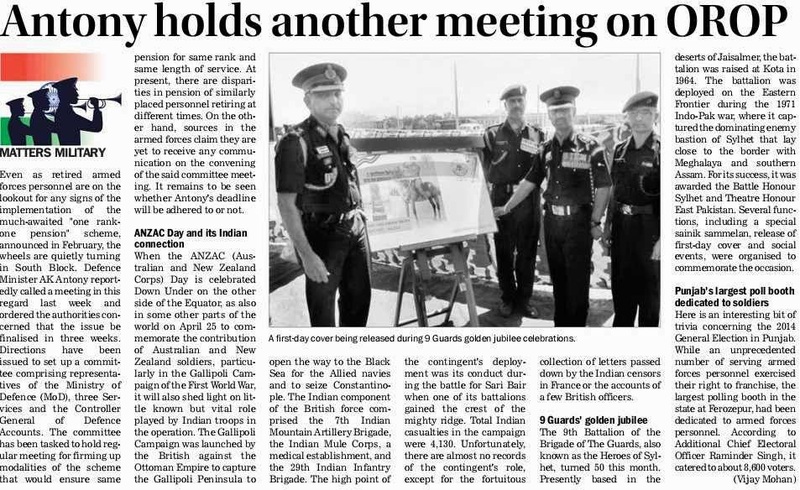 Several functions, including a special sainik sammelan, release of first-day cover and social events, were organised to commemorate the occasion. Here is an interesting bit of trivia concerning the 2014 General Election in Punjab. 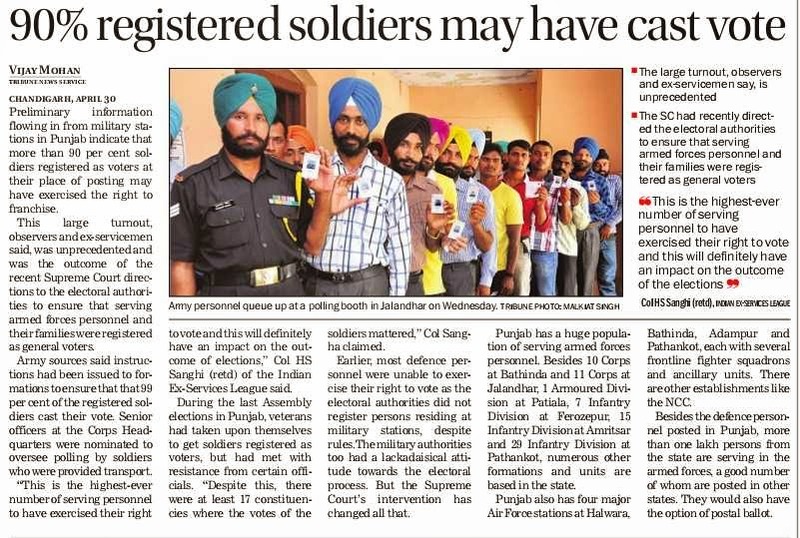 While an unprecedented number of serving armed forces personnel exercised their right to franchise, the largest polling booth in the state at Ferozepur, had been dedicated to armed forces personnel. 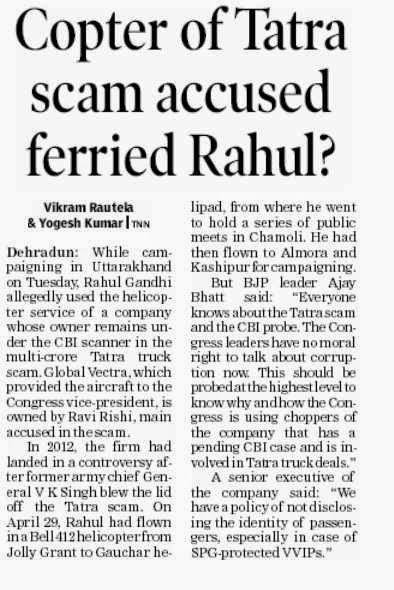 According to Additional Chief Electoral Officer Raminder Singh, it catered to about 8,600 voters. Even as the Ministry of Defence has contested a petition levelling allegations against Vice-Chief of Army Lt Gen Dalbir Singh Suhag, the Manipur High Court today postponed the hearing on the issue to May 5. The case filed by Phijam Manikumar, whose brother was allegedly killed in an encounter in Dimapur (Nagaland) in March 2010, was listed for today. Three suspected militants from Manipur were killed after being apprehended allegedly by personnel of the Army's Rangapahar-based 3rd Corps' intelligence and surveillance unit in March 2010. Sources in the MoD said Lt Gen Suhag was posted in Delhi at that time, but the petitioner chose to blame him for the killings that occurred under the area of the Dimapur-based 3 Corps. 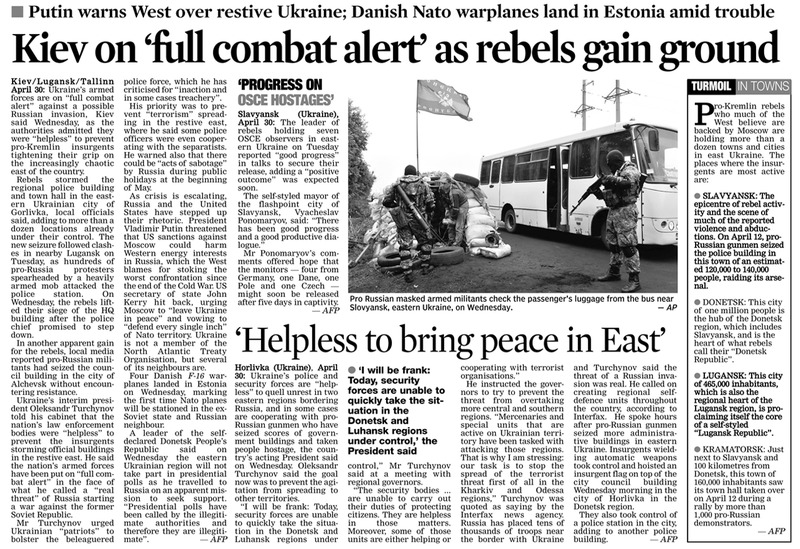 Former Army Chief General VK Singh was posted as the Eastern Army Commander at that time. Terming Kashmir as the "jugular vein" of Pakistan, the country's Army Chief Gen Raheel Sharif on Wednesday said the issue should be resolved in accordance with the wishes and aspirations of Kashmiris and in line with United Nations Security Council (UNSC) resolutions for lasting peace in the region. Addressing the main ceremony to mark the 'Youm-e-Shuhada' (Martyrs' Day) at GHQ Rawalpindi, Gen Sharif said Kashmir was an internationally recognised dispute. "Matchless sacrifices offered by Kashmiris will not go in vain," he said. The resolution of the Kashmir issue is "indispensable" for lasting peace in the region, he said. "Pakistan Army is in favour of peace but is always ready to respond to any aggression in befitting manner," he said. Pakistan has often described Kashmir as the "jugular vein" but this is the first time Gen Sharif has used the term or spoken about Kashmir since taking over late last year. Talking about domestic issues, he said that Pakistan Army believes in strengthening of democracy, supremacy of constitution and rule of law. The army chief lauded the media and said: "We believe in freedom of media and responsible journalism". His comments came amid a controversy surrounding the attack on leading Geo TV anchor Hamid Mir and subsequent move by the Defence Ministry seeking cancellation of the broadcasting licence of the channel. Sharif said Pakistan Army supports every effort for elimination of terrorism and restoration of peace in the country. He said armed forces of Pakistan are capable enough to foil the nefarious designs of the enemy and remain alert round the clock for defence of the motherland. Nobody should doubt the capabilities of Pakistan Army as it will come to the expectations of the nation, he said. Sharif asked anti-state elements to unconditionally accept Pakistan's Constitution and join the national mainstream otherwise the military "with the support of people will take them to task". The ceremony was attended by a large number of dignitaries, including Defence Minister Khawaja Asif and former Army Chief Ashfaq Pervez Kayani. The sixth meeting of the Working Mechanism for Consultation and Coordination on India-China Border Affairs was held in Beijing between April 28 and April 30. The Indian delegation was led by Gautam Bambawale, Joint Secretary (East Asia) and comprised of representatives of the Ministries of External Affairs, Defence and Home Affairs as well as members of the Indian Army and Indo-Tibetan Border Police. The Chinese delegation was led by Ouyang Yujing, Director General, Department of Boundary and Oceanic Affairs, Ministry of Foreign Affairs and comprised of representatives of the Ministries of Foreign Affairs and National Defence. The Indian delegation called on Liu Zhenmin, Vice Minister of Foreign Affairs. The talks were held in a cordial, constructive and forward looking manner at a time when the season is changing in the high altitude areas along the India- China border. Both sides agreed that maintenance of peace and tranquility on the border was an important guarantor for the further development of bilateral relations. The talks reviewed recent developments, particularly in the western sector of the boundary, implementation of the Border Defence Cooperation Agreement and additional confidence building measures. An alternate route for the Kailash-Mansarovar Yatra was explored. 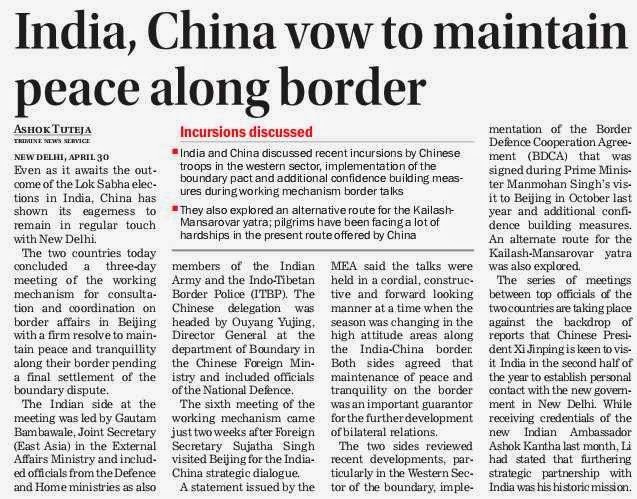 This Working Mechanism for Consultation and Coordination on India-China Border Affairs has held six meetings since it was established two years ago, and has become one of the primary mechanisms for the management of affairs related to the boundary question. The seventh meeting of the Working Mechanism will be held at a mutually convenient time.